On a weekend morning, when I wanted to serve something quick and simple with coffee – but a hot one in the -1 degree chillness outside – an old-time favourite came to my mind. This is not a traditional one, but something which was not a usual ‘complete meal’ in conservative households when I grew up; might have been a foreigner food those days – surely not anymore! They are the ‘Sandwiches’! 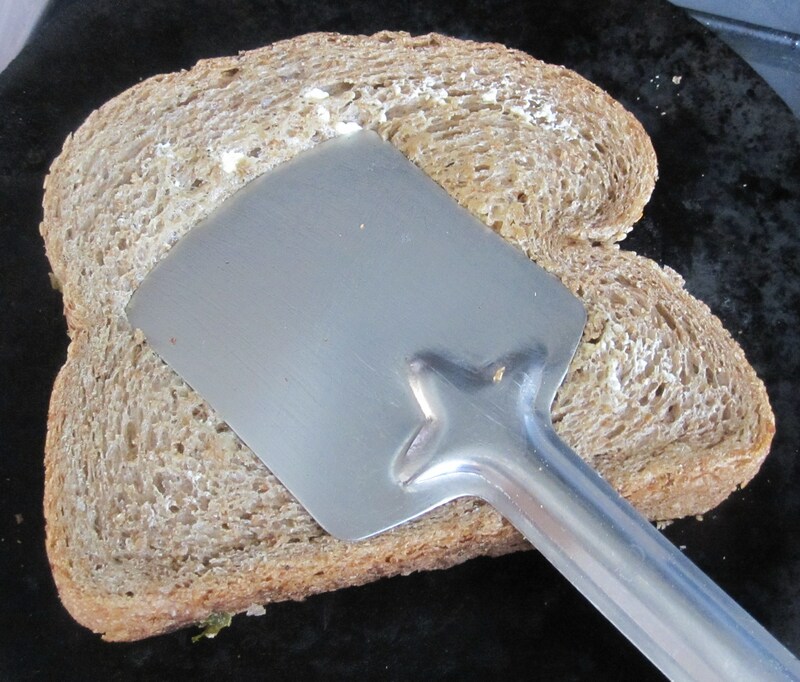 In my school or college days, a request to invest in a sandwich maker/sandwich griller did not have an encouraging outcome. 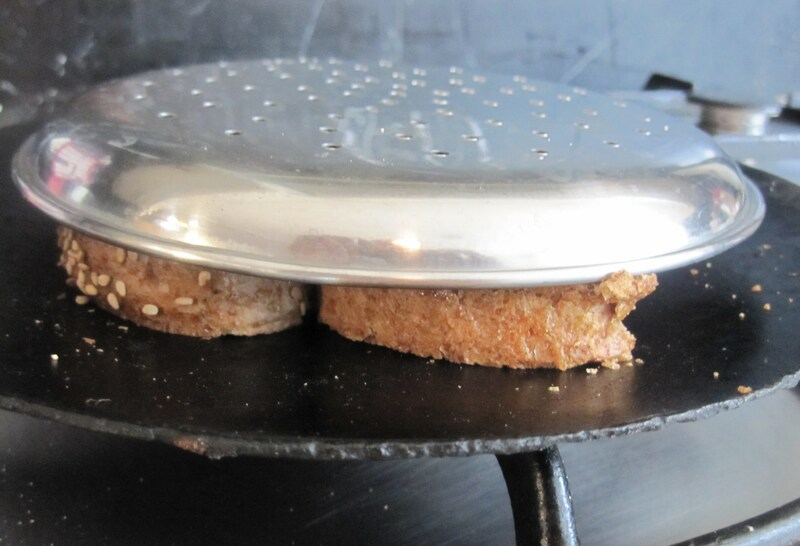 But making one – not only tasty but hot, crispy outside with a flavourful filling inside used to be very interesting. Like chinese, continental or any other food made the Indianised way – sandwiches are also Indianised, sometimes south Indianised! Fusion music and fusion cooking cannot be avoided you see. Even in the dosai varieties, apart from the usual masala dosa, the stuffing inside the dosais can be of numerous varieties – paneer dosai, paneer-capsicum dosai, cauliflower dosai, manchurian dosai and so on and on and on -non stop. 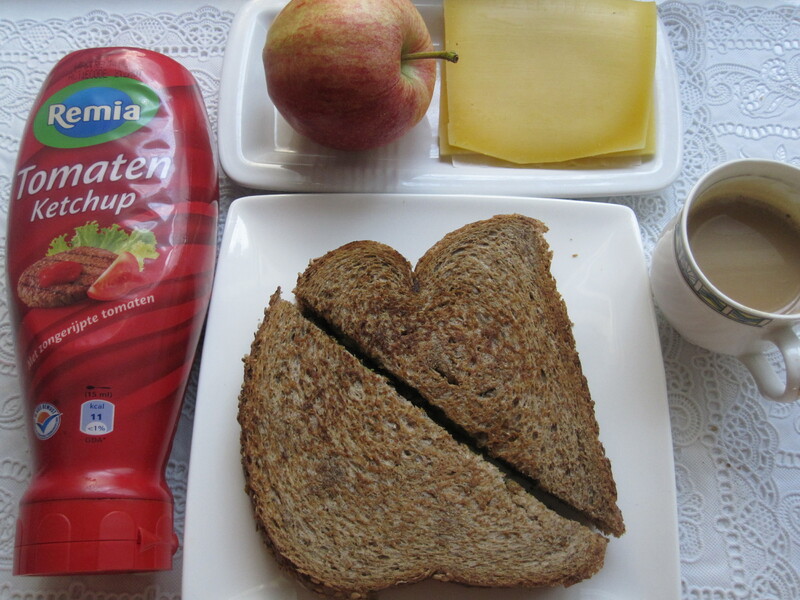 The same way, the filling inside sandwiches can also vary – anything from fresh vegetables to left over cooked vegetables – especially spicy. If left over dry vegetable is not spicy, a spread of spicy coriander chutney would fit very well as a spread instead of butter/margarine. 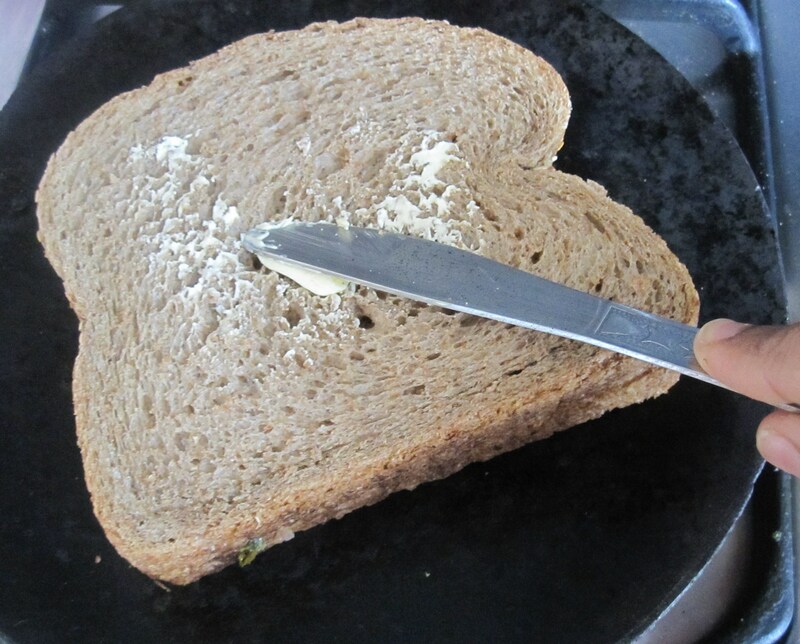 But wait – this post is not about the filling and preparation of sandwiches – but in the method of making grilled sandwiches without a sandwich maker/sandwich griller. One of my aunts settled in Pune, a beautiful city in the state of Maharashtra taught me this way (a wonderful cook herself – an expert in home-made bhelpuris to pizzas)! Thankyou Chithi (Aunt)! 12. Cut it to halves and serve. 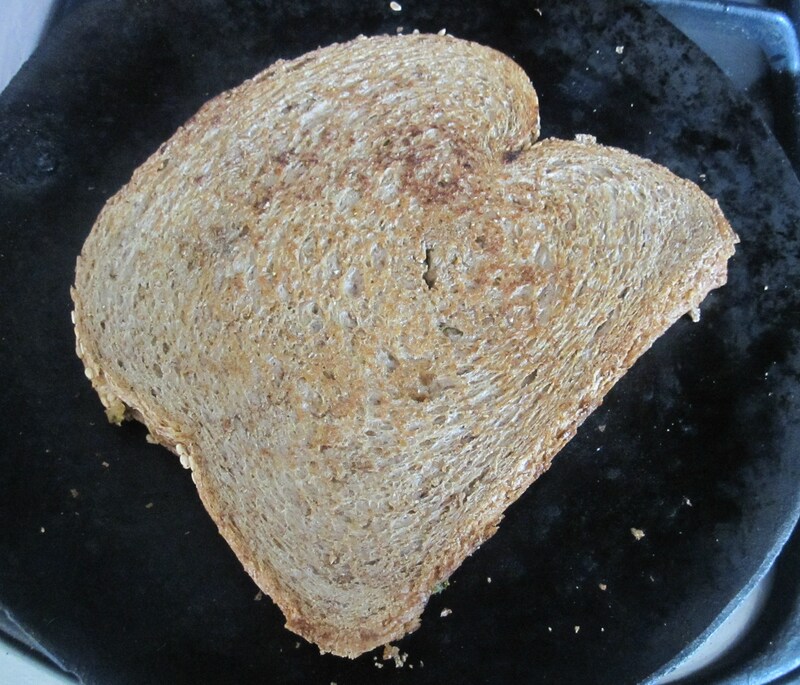 If one prefers to make grilled sandwich in a sandwich maker/griller, please go for it! 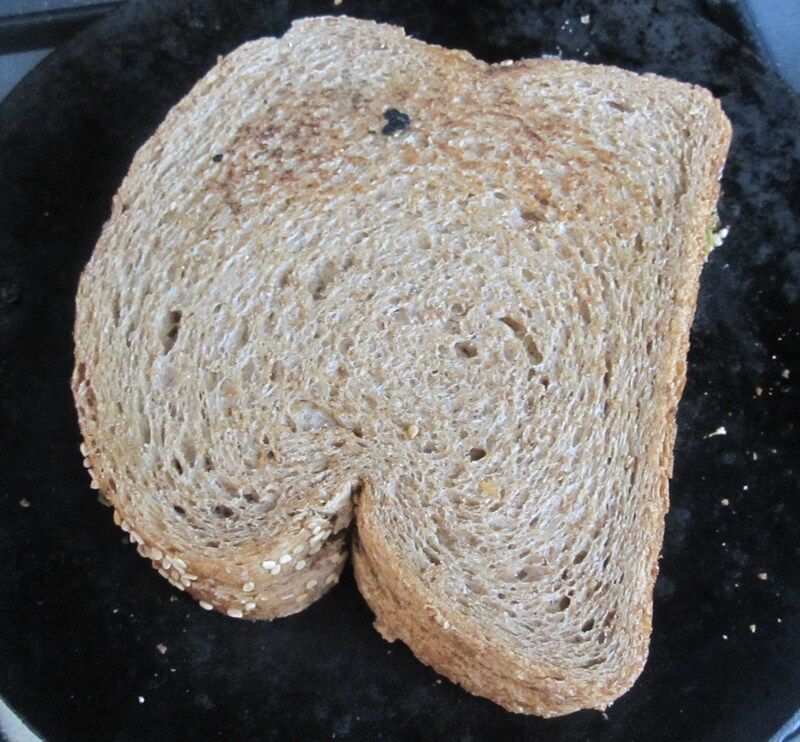 It comes out really well with a golden glow and crispness too – especially in white bread!